Sonia Board with her picnic pie. Katie Williams with her Roast Dinner Piggy Parcels. Claire Walters with her Pudsey Victoria Sponge. Our raffle will be closing at 3.30, to be in with a chance of winning one of our amazing prizes (listed below), all you have to do is donate! 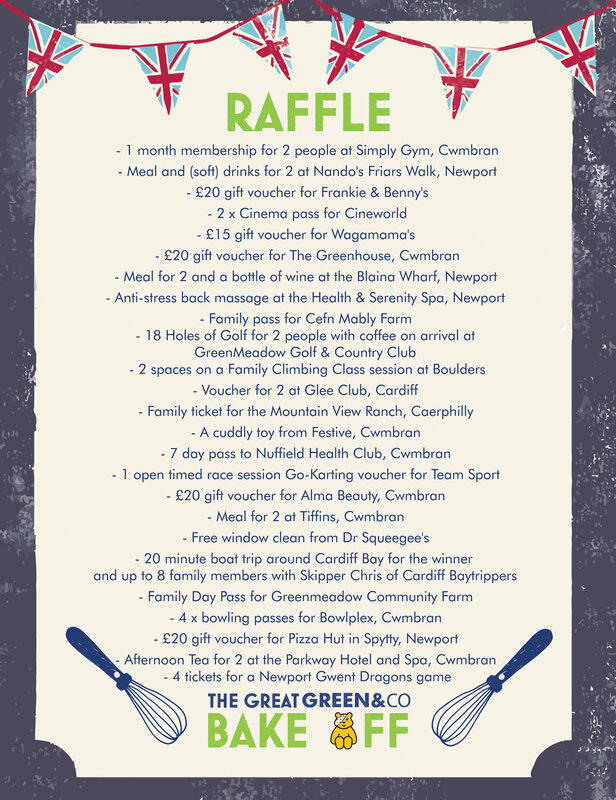 For every £5 donation, we will allocate you one raffle ticket, so the more you donate, the more chance you have of winning one of the great prizes!